While many of us are thinking of how to make our homes beautiful, we also have to take note that it is important to keep our home clean. For sure you will all agree that a clean space beats a beautiful dusty space. Indeed, no matter how beautiful a home is if it lacks cleaning, it will still appear ugly and uninviting. That is why it is important that we clean our home every day. If we do it every day, dust will not accumulate and we can also do away with insects who thrive on dirty places like cockroaches. When cleaning the house, we have to start working on the upper areas going down because if not, dust will just gather in different spots and we would need to clean over and over again. We wouldn’t like to do that because we want to finish doing our chores at once. One area in the house that we need to clean is the flooring. 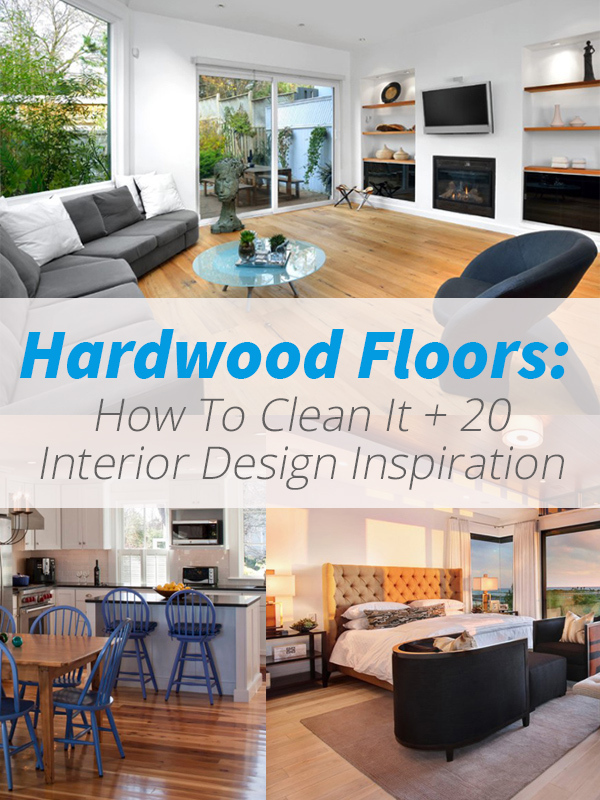 Although we talked about cleaning the entire house, we will talk about cleaning the floor- hardwood floor in particular. Usually, we would sweep the floor to do away with dust but of course, cleaning it depends on the kind of material used. 1. The first step in cleaning the floor, whatever is the material, is to remove dust, dirt, pet hair and other debris from it. This can be done by sweeping the floor or by using a vacuum cleaner. Avoid using a vacuum cleaner with a beater bar attachment since this could damage your flooring. Instead, use one with a floor-brush attachment. 2. Check the type of finish used for your flooring. It could either be wax or polyurethane. If you are not sure of the finish, just rub your finger on the surface and if it smudges, it means that it is waxed. 3. To clean the floor, create a mixture of ¼ cup pH-neutral mild soap and water. Avoid using acidic vinegar solutions since it will dull your floor. Then use a damp mop and microfiber to get excess moisture. 4. 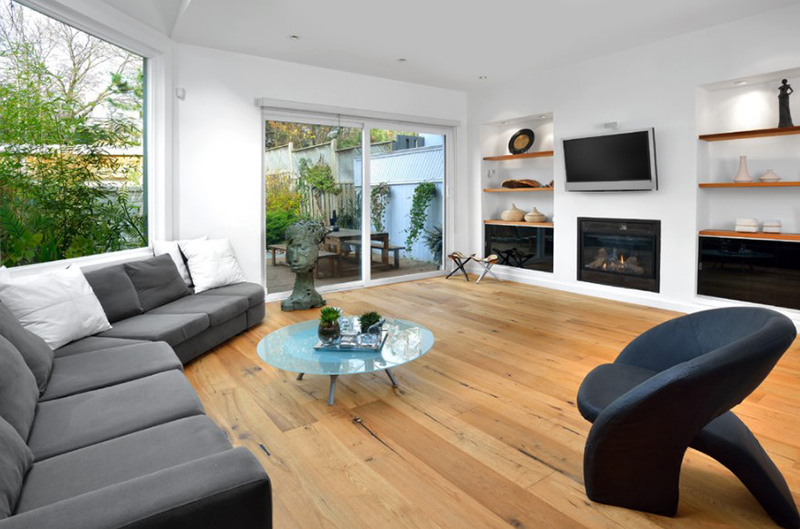 Deep clean your floor periodically by using a liquid cleaner or a commercial wood-cleaning product. Or you can make your own cleaner by combining ten parts of warm water with one part vinegar and a few drops of liquid Castile soap. 5. After making that cleaning solution, saturate a rag or a sponge mop with it. See to it that your mop is just damp and not totally wet. Mop the floor while making sure that you do not put too much cleaning solution on the floor. After that, wash the mop with clean water and damp the floor again to remove the solution. Now dry your floor by using a dry towel. This is important because water may damage the hardwood floor if it stays there for a long time. 6. Another way to clean hardwood floor is to use two teabags and boiling water. This solution will make the floor shiny because of the tannic acid in tea. Use a soft cloth and damp it with the water and teabag solution then wash the floor with a mop. You will see a lovely sheen on the floor after doing that. 7. If there are scratches on the floor, use a crayon that is the same color as the hardwood floor. Rub it until it fills the gap then blow dry it on high heat and tap a soft cloth on it afterward. 8. To cut down dirt and moisture in your flooring, put doormats on both sides of the doors. You can also avoid scratches by using floor protectors under furniture. For areas that are high-traffic, add some area rugs on it. A large transitional open concept living room with medium tone hardwood floors that has a subtle red color. 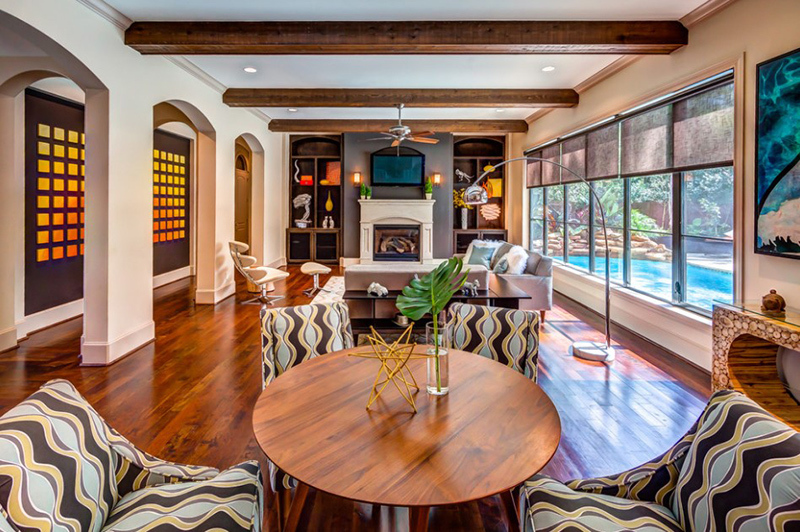 This trendy living room used a hardwood flooring in Jarah with a clear varnish. 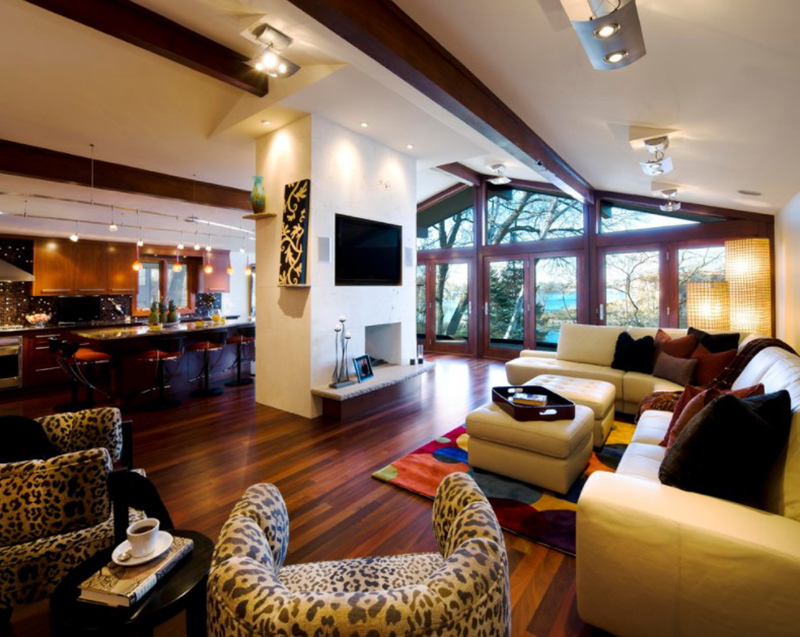 Polished medium dark hardwood floor is utilized in the lovely home. The glass windows around it bring natural light to the space. A simple yet sophisticated living space with a match of modern design and artifact. The chairs here looks nice with an additional padded seats. The space looks simple but it sure is stunning. The floor in this lovely dining area is stenciled and was created by a local artist. The wood floor is made of oak. 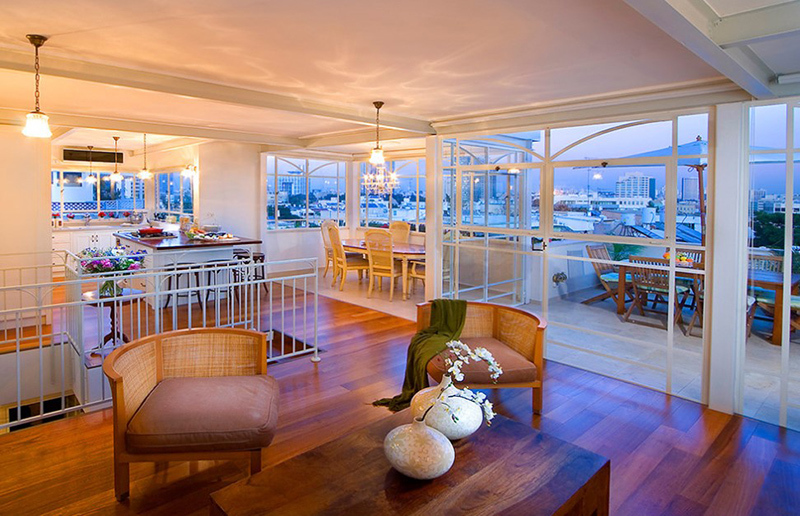 A beach space with beige walls and medium tone hardwood floors. 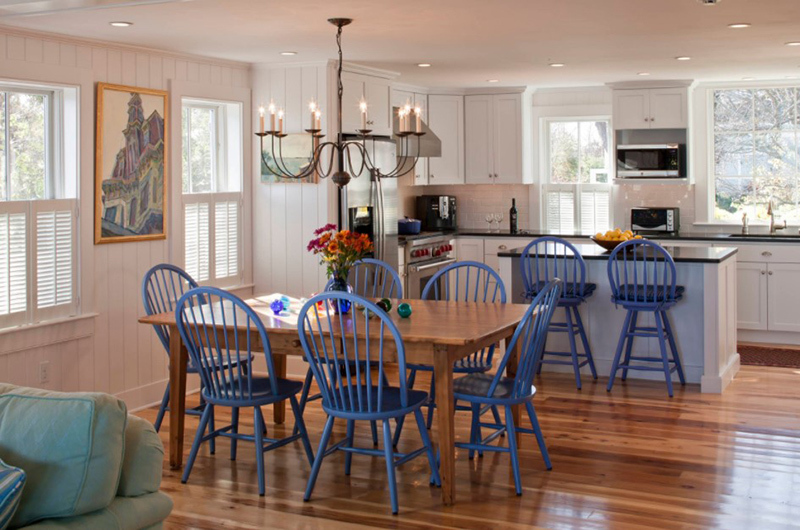 I love the blue wooden chairs here that adds to its beachy feel. The rustic beams, stone walls, and rustic floor of this dining room are very creative and attractive to my eye. 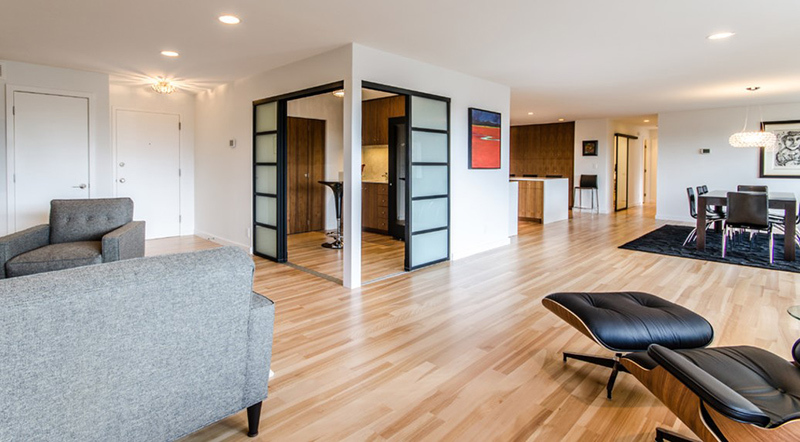 The symmetrical open glass doors on each side of the room also add appeal to the space. 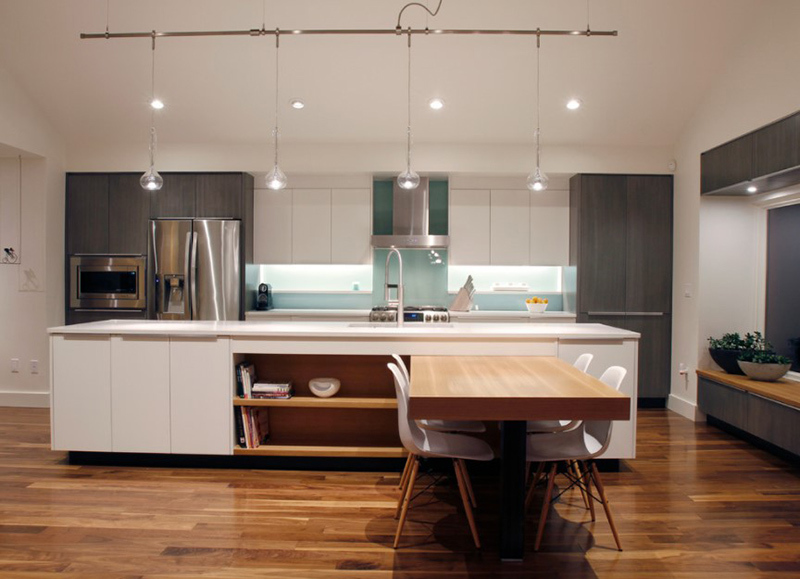 The seating end of this island allows for the stools to be pushed underneath for neat look. 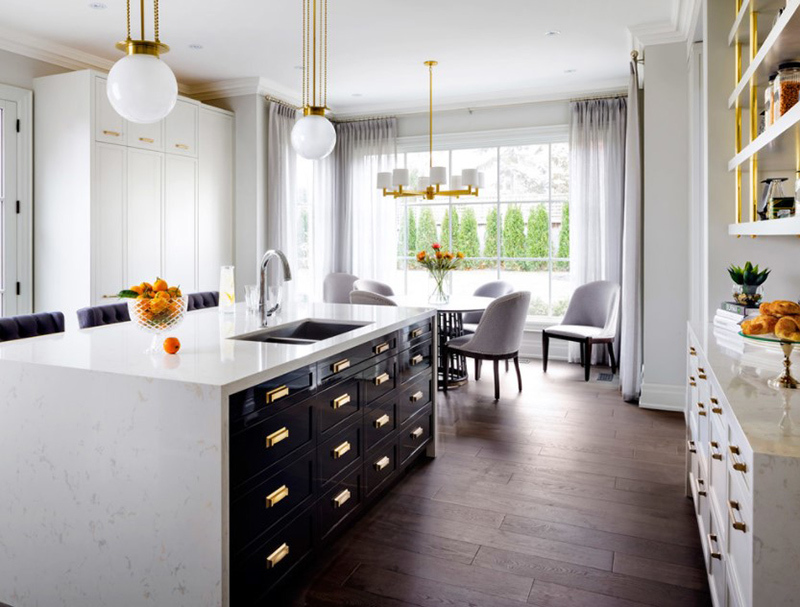 A transitional eat-in kitchen with a double-bowl sink, flat-panel cabinets, stainless steel appliances and dark hardwood floors. 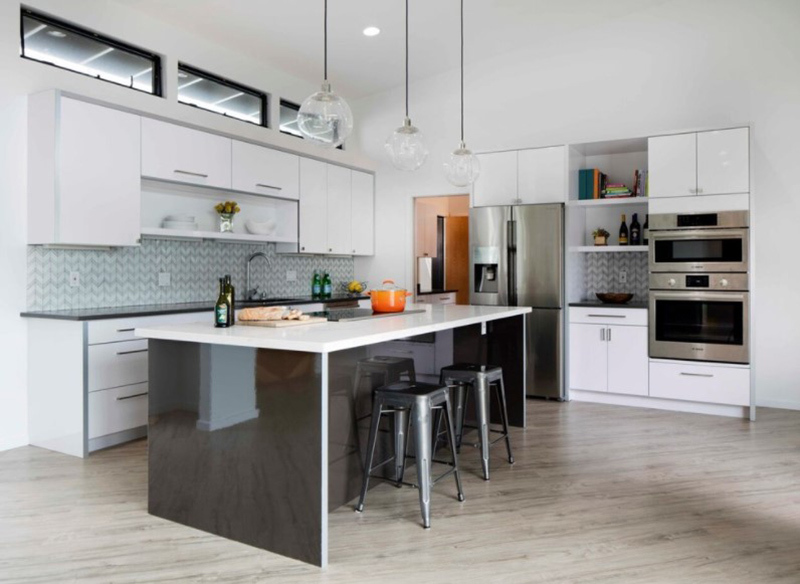 Apart from dark hardwood floors, this galley eat-in kitchen has flat-panel cabinets with quartz countertops. 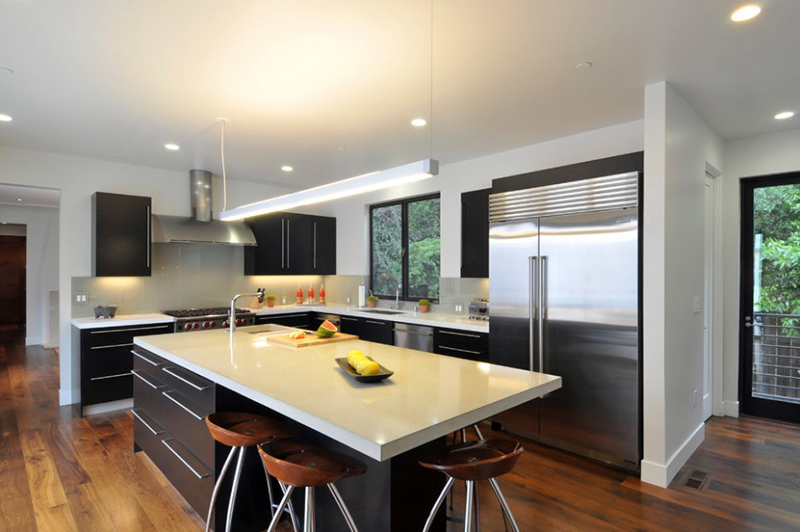 A trendy L-shaped kitchen with black and white kitchen counter and a light hardwood flooring. Isn’t this lovely with the all white colors from the curtains to the wall? The hardwood flooring added a warmth appeal to the bedroom. A cool contemporary bedroom with a fireplace and a glass window that offers a lovely view of the pool area. Anyone would surely fall in love with this bedroom that has a stunning view and a beautiful headboard. A stunning bedroom with medium tone hardwood floors and a ribbon fireplace. 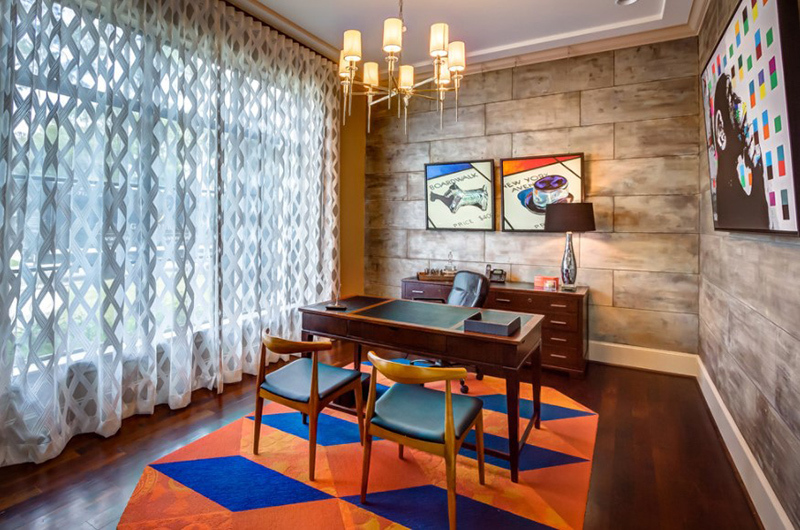 This home office has a creative design from the walls to the area rug that matches well with the flooring. A stunning master bathroom that overlooks to the backyard. 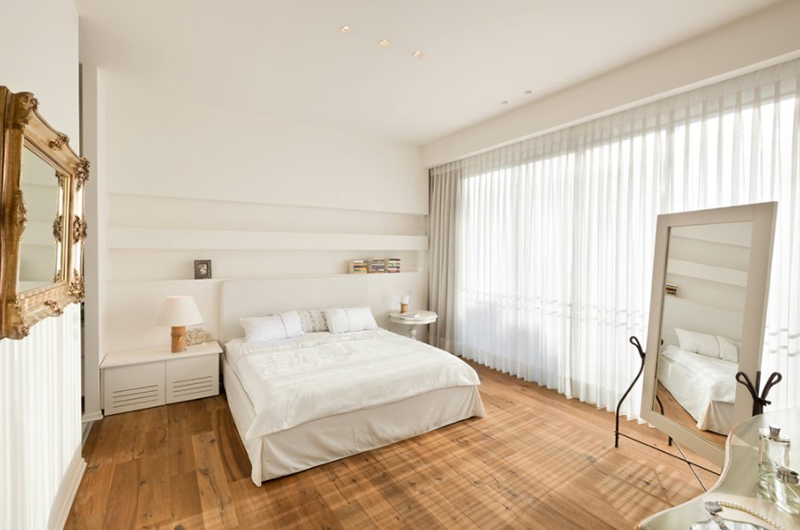 Notice that it has white drapery to add privacy to the area. 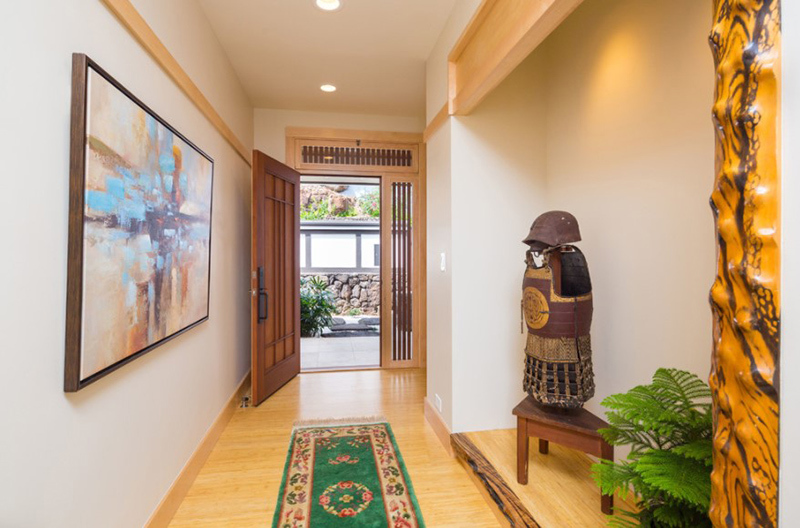 Apparently, this entry has a Japanese influence and it was just right to use wood in it to achieve the Asian look. Hardwood is also used for the staircase. Aside from being durable, it also looks really great combined with other materials like metal rails in this stairs. Now that you know how to maintain the beauty of your hardwood flooring, you will no longer hesitate to use the material for your interior. You sure had enough inspiration through the above spaces. But if you want more, we will definitely give you more interiors with hardwood floors in the next posts.